There are few things more exhilarating, or provide the sense of freedom, than flying. However, for many pilots it is the weather, or the limitations of their licence, that keeps them grounded on the cloudy days, which are the more common days across Europe. PPL/IR Europe is the non-profit organisation that supports pilots to achieve (and maintain) either the full Instrument Rating, or its cousin the Instrument Rating Restricted (IR(R)). PPL/IR advocates the use of the rating to extend the flying opportunities and to improve flight safety. We work towards making European Instrument Ratings more accessible so they can be achieved by more pilots. 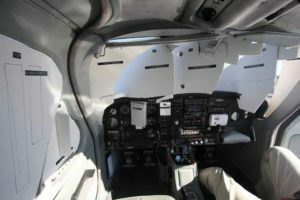 This page lists articles of particular interest to pilots who do not yet have an IR, or have a foreign IR and want to convert. It is a service both to non-members and to members who are working on the IR. You will need to hold a current and valid Class 1 Part medical or Class 2 medical with a valid audiogram. In the UK you can get an audiogram added to your medical by having a free hearing test at a local Specsaver and taking this to your EASA approved Medical Examiner, who will add it to your rating (probably for a fee). Once you have an EASA approved Instrument Rating you will be fully legal, across all of Europe, subject to currency and medical requirements, to fly under instrument flight rules. The instrument rating enables you to fly the aircraft solely with reference to the in-cockpit instrumentation. This means you will be able to fly in cloud and other circumstances of reduced visibility. This includes all classes of airspace. You will also be able to fly under IFR with a minimum decision height of 200 feet (60 m) on instrument approach procedures. This article has been provided by one of our PPL/IR members, John Dale, based in Hawarden Airport. By way of background, John spent 12 years in the RAF as an Air Traffic Control Officer, doing Tower, Approach and Area radar duties; he then spent 26 years at Manchester Airport doing Tower and Approach. During this time he had a parallel career, initially as a Flying Instructor but eventually as an Air Operator Certified (AOC) pilot and Instrument instructor. He has been an IR examiner since 1997 and now has over 12,000 hours, mainly single crew but with over 1,000 hours as multi crew on the Cessna 500 series. He is a current Instrument Rating Examiner (IRE) and operates his own Approved Training Organisation for CPL’s, MEP and Instrument ratings. Disclaimer: this article was correct at time of writing, the reader is encouraged to validate this either through engaging PPL/IR members or contacting the member state authority. I may be telling the majority of you things that you are already aware of. However, many pilots seem unsure of the renewal/revalidation process and the terms used and I hope this will clarify things! Revalidation is the extension of an existing current rating. This can be done up to three months before the expiry date of the rating. Please try not to leave it until the last day! Renewal is required if you go past the expiry date, even by one day. This requires you to go to an Approved Training Organisation (ATO) to have an assessment of how much training is required (if any) and to obtain a Course Completion Certificate (CCC) to present to the examiner. The IRE cannot do the renewal flight test without the CCC. If the rating has expired by more than seven years, then the renewal flight test has to be with an IRE appointed by the CAA. How much training? This is at the discretion of the Head of Training (HoT) at the ATO. EASA issue guidance – but this is just guidance. So someone with a current FAA IR may be assessed as not needing any training, even if the EASA IR has lapsed by more than a year. But this is at the discretion of the HoT. The renewal test flight does not have to be done with the ATO – you can take the CCC to your favourite examiner if you wish. the experience of the applicant. To determine this, the ATO should evaluate the pilot’s logbook, and, if necessary, conduct a test in an FSTD. Once the ATO has determined the needs of the applicant, it should develop an individual training programme, which should be based on the initial training for the issue of instrument ratings and focus on the aspects where the applicant has shown the greatest needs. After successful completion of the training, the ATO should give a certificate to the applicant, to be submitted to the competent authority when applying for the renewal. In either case, be honest with yourself. You may not require training according to the guidance, but are you really current? Especially for a hand flown Instrument Landing System (ILS) with no flight director? 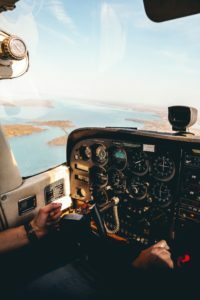 Has all your flying been with the auto-pilot? If you have to do tracking on a single needle display – especially tracking away from the beacon - can you remember how? Consider doing some training in the aircraft, with either an instructor or safety pilot. Do you have a home simulator? Something like RANT is good to brush up techniques. Check your paperwork. Is your licence signed? The CAA issue new pages with any change of the licence and signatures are often overlooked. Do you have the appropriate rating on your licence? It may seem daft to ask this; however, I had one candidate turn up with his IR pass certificate – but he had never applied to have the rating issued! This was some time ago and the authorities were very helpful about the error and did not insist on a new initial IR test. I do not think they would be so understanding today. You do not need a current medical to renew or revalidate. However, the examiner will advise you that you cannot use the rating until the medical is renewed. Which Aircraft Will You Be Using? Are you hiring or using your own? Is it fit for the test? Please do not make things difficult for the examiner by turning up with an aircraft that has unserviceable equipment – especially if there is no alternative approach available. If you know something is not working, talk to the examiner before the day of the test to confirm it will be OK. If the examiner does not know your aircraft, he will want to go through all the paperwork to ensure the flight is legal. So bring all the paperwork! Is it all in date? Matters like radio licences are easily overlooked. Most problems can be sorted out by a quick phone call, but cause delays and puts you under extra stress. Turn up on time. Nothing is more frustrating to an examiner than to have booked slots for the beacon and approaches and then have to rush the briefing because the candidate is late and the slot cannot be changed. Did you check the weather? The wind is 35 kts across the hold or approach? Do you really want to test? Examiners make allowance for conditions, but why make it hard? Check NOTAMs the night before; if the aid you intend using is off for maintenance, this could make things difficult. Have you got all the current charts and plates for planning? These can be paper or electronic. We do not mind which. But do not assume the examiner will provide any missing items. Which plates are you using, Aerad, Jeppesen or Aeronautical Information Publication (AIP)? Do you know your way around them to find the information quickly? If you are using the AIP, do you know how to convert OCA/ OCH to DA/DH? Do you know all the system minima? How will you determine the RVR needed? Can you file a flight plan? Do you have a current account with Rocket Route, EuroFPL etc? The test format is on the back of the Examiner report form (SRG 1157 for noncomplex SPA). If it is just an IR revalidation test, then it is sections 1, 3b and 6 (if MEP). The limited panel requirement is conducted using the equipment fitted to the aircraft. What are examiners looking for? We do not expect perfection; we just want a generally competent performance. During the flight, do not worry about any errors; examiners are usually more interested in the recovery from an error than the error itself. We all make mistakes. Although it is easy to say, try to relax. Ensure you have the aircraft trimmed, which reduces your workload. Deal with the ATC problems in a practical manner. Testing/training always causes problems to ATC, despite any prior phone briefing. Just let them know what you want. Are you using an EFB (i-pad etc), if so, is it firmly mounted and the battery charged? Examiners are not impressed when the EFB slips onto the floor or goes blank during an approach. If the examiner considers an item a fail, he does have the discretion to re-test that item. However, this is most common in the Section 2 items. You should get a debrief, covering both good and poor items. Even if you have passed, you may be advised to practice certain things. Then there is the paperwork to complete. For a revalidation pass the paperwork is simple. The examiner completes SRG1157 and gives you a copy. He signs the rating section of your licence, you pay him his fee and off you go. A copy of the examiner report has to go to the CAA; normally the examiner will send this off. If you have failed one item, the examiner can give you a Partial Pass, completes the SRG 1157 and gives you a copy. You then have to retake only that section. The examiner also completes a Failure of Test report - SRG 2129 and will advise you that you cannot use the rating until you successfully pass the partial test. You have to sign the form to acknowledge this. You can go to another examiner for the partial test. For a complete fail, the examiner completes SRG 1157 and a Failure of Test report - SRG 2129 and will advise you that you cannot use the rating until you successfully pass another test. You have to sign to acknowledge this. The renewal paperwork is a bit more complicated. If the rating appears on the front of your EASA licence, then the process is the same as revalidation, except that a copy of the CCC must also go to the CAA. If the rating is on the back of the licence, the examiner cannot sign your licence. You must apply to the CAA using SRG 1119C and pay the appropriate charge. The CAA will still need the SRG 1157 and CCC. Very recently, the CAA have agreed that examiners may issue a temporary certificate (SRG 1100). This allows you to use the rating immediately, but only for a period of 80 days. The form filling is probably the most difficult part of the test. So, if you know that the SRG 1119C is going to be needed, fill it in before the test date and you can ask the examiner to look it over before you submit it. Best of luck with your next renewal / revalidation test flight! Rather than just look at the theory, the following are some stories and examples from members of PPL/IR. More examples and insights are available to members in the PPL/IR - Europe magazine and forum. This is a story about how one person gained his PPL IR, told from the perspective of the ATO, the Approved Training Organisation, who are required by law to provide at least 10 hours instruction during a CBM IR course. The central character in our story is determined and likeable but perhaps slightly ill-informed as to the task ahead. Think of the young soldiers of the First World War; proud to do their duty; nervous, excited and certain they will be home by Christmas. Let us call him Martin. He is a successful middle aged European businessman. By historical accident he has maintained a UK PPL and a lapsed IMCR. As he lives outside the UK, he has not had much opportunity to log PIC time using his IMCR, so needs rather more qualifying flying hours than the norm. He has passed his CBM IR TK exams and visited Rate One for a day’s assessment. He owns a Cessna 172 SP, but accepted the advice that it would be more effective to use Rate One’s own aircraft with its skill test specific instrumentation. He had created a 10 day gap in his busy diary and, at fairly short notice, called to say could wanted to complete his IR. Rate One Aviation operates by dedicating an aircraft and instructor to one candidate but, as it happened, we could accommodate his timings. An ideal candidate, the ideal scenario. A dedicated aircraft and instructor, a well prepared candidate doing the course in the best possible way. Even the weather looks good with high pressure establishing. There are three or four individuals who deliver and support the training. They do this on a more or less voluntary part time basis because they are enthusiastic about instrument flying. None of them is in the first flush of youth. Together they have approaching 40,000 hours flying experience, of which 10,000 have been spent teaching instrument flying. They have held senior posts in airlines, the CAA and numbers of training organisations. They have, between them, managed flying schools, ATOs, AOC operations, maintenance companies and aircraft engine rebuilding companies. They have been intimately concerned with the development of the CBM IR. They have in their past lives been approach designers, airline pilots, airfield inspectors. They hold, between them, a good proportion of the whole range of instructor and examiner qualifications. There is probably no greater concentration of knowledge in the very specific area of instrument flying for the PPL anywhere in Europe. Two of them, Roy and I, are directly involved in Martin’s story. With all this expertise what could possibly go wrong? Before the training can commence, the ATO has to be approved. This is a tortuous, costly and time consuming process that can take many months. The main products of this process are approved manuals which, in the eyes of the authority, define the way that the ATO operates, and specifies the course content in some detail. Nothing in this manual, once approved, can be changed without re-entering the approval process with its attendant costs. It is hard to overemphasise how useless these documents are. Even in the old 45 hours IR course, which was a fairly static system, circumstances and procedures changed all the time, so every ATO sets up parallel systems to deliver useful information to their students. In the CBM IR, it is doubtful if a course, in the old sense, even exists - it’s a flexible 10 hours finish up. Our hero must skim the document and sign that he has read it. The ATO’s approval plays no further part. In opera it’s over when the fat lady sings. In the IR it’s over when the examiner agrees that the candidate has met the required standard in the skill test. Most examiners are now independent. There are very few CAA staff examiners and they are mostly involved in administering higher level tests and in testing IR candidates who have needed to retake the test multiple times. The ATO is required to book an examiner with the CAA in advance, using an automated email process, assuming every aspect of the test is completely predictable. The authority then allocates the examiner. In reality a skill test is a messy business. The date chosen depends on the candidate’s progress, the weather, availability of IAPs etc. A splendid British compromise emerges. The ATO rings round and finds an examiner who is available in principle and flexible. They suggest to Flight Test Bookings that X is available and in 99% of cases that suggestion is approved. Then the ATO pays the CAA fee of £775 (of which the examiner gets less than half). Very unusually in this case there was no response from Flight Test Bookings. Eventually it emerged that a staff examiner had been allocated. Several phone calls later it emerged that because I had, and I quote, ‘caused waves’ in suggesting that the way the skill tests were administered was less than ideal, they were going to ‘have a look at us’. This was hardly welcome news. Although CAA staff examiners are scrupulously fair to candidates, they have more potential to demand the unexpected. We kept this unwelcome development hidden from Martin. Although the aircraft was not due for its 100 hour maintenance check for another 10 hours, that check would fall due during the training. Therefore it would have to be carried out early at the expense of 20% of its validity period. We did not expect any problems. The aircraft was maintained by an organisation we had used for decades. They had seen the aircraft for checks and snag rectification three times in the previous 4 months. In the event, as this check continued another gloomy and bizarre scenario developed. This became peripheral to this story, so is not considered further. It became obvious that Rate One Aviation’s own aircraft would be unavailable for Martin to use. Martin had pre booked commercial flights to the UK. We tried to delay his visit and offered to reschedule and meet the cost of the loss on his air fares. Martin, having created a slot in his diary, was reluctant to reschedule. He decided to fly his own aircraft over from Denmark. The weather looked as if it would co-operate for a VFR flight over the North Sea and this was agreed on. Thus on a Monday morning Rate One Aviation was presented with an unknown and unprepared aircraft to use for IR training and a skill test. The aircraft was a relatively recent C172 SP. The plan was for Roy to take the lead in instructing while I dealt with the administration. We had a skill test booked and 8 training days available. After the first few flights it is clear that there were many issues; some simple to resolve, some potentially serious. The aircraft had a DI, not an HSI, the DI was ‘lazy’ needing frequent resetting. Roy continued the instruction working to overcome the practical hurdles presented by the aircraft's limitations and bring Martin up to speed. I started to resolve the other difficulties. Avionics engineers were asked to look at the number 2 com and they established that the unit was faulty. It emerged that the owner had removed an identical unit in order to fit the Garmin GTN 650 and sent the old NavCom to the USA to be sold. Arrangements were made to recover it. While the avionics engineers were working on the aircraft, they configured the transponder, a simple 10 minute job. After a couple of days the UPS tracking system claimed the radio was in Gloucester. I battled the system for an hour or so and established the radio was still in the USA. It seemed unlikely it would arrive in time so I spent another hour on the problem and tracked down an identical unit in an aircraft which was grounded and so the unit could be borrowed for a few days. That was installed and worked properly. Since our own aircraft was still out of service our own data subscription was used to update the Garmin GTN 650 in the Cessna. For some reason the terrain update became corrupted in the process. It was not clear if using the update in a different box mattered, but, since what we had was good enough for the test, that problem was deemed solved. The CAMO in Denmark that looked after the aircraft sent a work order for a 50 hour check. The first UK maintenance organisation approached insisted that they needed authorisation from the Danish CAA to do the check. This seemed unlikely and the second organisation approached said all they needed was the work order. The 50 hour check commenced. Unfortunately, the engineers discovered that one engine mount was seriously degraded. It seemed doubtful that the engine would have fallen out in the next few months much less the next few hours, and it could have been dealt with at the next annual. Nevertheless, this company was being helpful and was the only game in town. The required item was available next day from the suppliers and was ordered. While the above issues were in progress, it was becoming obvious that the planned test date was hopelessly impractical. Neither the aircraft nor the candidate would be test ready. Training continued. Martin was struggling a little. His basic IF flying was excellent, but the combination of a fixed card ADF and somewhat variable DI which needed frequent setting was adding hours to the time needed for him to come up to standard. Being a self-confident person and flying the aircraft he was used to, he had ingrained habits. In high workload moments he slipped back into normal VFR mode and IFR checks and procedures were sometimes abandoned. CAA examiners are busy and inevitably less flexible than industry examiners. Eventually, with some negotiation, a different CAA staff examiner was found who could do the test on a later date. This date was less than ideal, but it was a day on which it was just barely feasible that the candidate and the aircraft would be ready. He was on a three line whip from his wife to be home for a christening. We became boxed into that most undesirable corner that all ATOs try and avoid. A skill test on a fixed day with zero flexibility. Any delay or failure to get a full pass would mean the whole plan would unravel. I insisted that Martin book a cheap commercial flight home to de-stress the situation a little. At worst it would be his aircraft and not he himself stuck in the UK, so he might avoid divorce. Given that we had been allocated a CAA Staff examiner, there was more potential variation on where the test might take place. As the aircraft was now in maintenance and unavailable, we made best use of the time by putting him in the simulator and flying at those airfields where it is near impossible for us to book practice approaches but where it was just possible the CAA Staff examiner might negotiate a beacon slot. The chances of a first time pass are significantly reduced if a candidate has to fly at an airfield they have never visited. On the day before the rescheduled test we were expecting to have the engine mount fitted by mid-morning allowing most of the day to fly a practice full skill test profile. So far we had not really achieved this. Martin had shown he was capable of all the required elements but circumstances meant he has not demonstrated them all together in a single flight. A UPS van duly arrived but it proved to be a false dawn when it emerged it contained the radio we did not need. Hours passed, and there was no sign of the second UPS van carrying the engine mount. We delayed the practice beacon slot till the afternoon. By good fortune the CAA Examiner called and selected a route to Coventry where we had pre booked the last practice slot. However it was now clear that the aircraft would not be available. Martin went with Roy to revise the procedure in the simulator while to add insult to injury I paid the import charges for the redundant replacement radio. I took the rough checklist we had developed, typed it into a booklet, printed off and spiral bound two copies ready for the test. I then booked beacon slots at two airfields to suit the test timing and profile required. We were lucky and, in this case, both Coventry and Gloucester could offer the ideal slot timing. Along the way cockpit ergonomics became a training issue. Martin was struggling to handle his knee board, PLOG and plates. I managed to find an old style Garmin portable yoke mount and adapted it for his control column so that he could put the plate in use on the yoke and free up some space on his lap. Also we had a few Blue Peter moments with scissors and card to make up some instrument covers for the limited panel exercises. Earlier in this process, I asked our head of training, who is highly knowledgeable on the minutiae of licenses and CAA forms, to run a critical eye over everything I had done. The candidate has a colour vision problem, so is expecting a day only IR, which is unusual but available. The only thing I had missed is that he had been logging our dual time in a PIC column so he needed to tidy his log book. Martin’s log book was not a shining example of calligraphy. I always go through a candidate’s log book and stick in an ATO certificate to say that the book has been examined quoting the applicable prerequisite hours. This is intended to ensure that the CAA examiner and the subsequent log book examination at the CAA office during licence issue do not throw up problems. This took me some considerable time, but I have had two years positive results from this approach. Every candidate has a training file with each flight described in some detail with the comments and performance grading signed for by both the candidate and the instructor. The file also contains copies of licenses and other documents. The ATO is required to show proof that the candidate has passed the CBM IR TK exams. Even though only the candidate can download the CAA exam results form from their website, the ATO is required to confirm the facts of the situation and annotate the form to this effect. We also produce a course completion certificate that duplicates much of the information provided elsewhere. All this was material was in place and was reviewed without any issues. Martin had been with us 10 days. I had spent the greater part of 5 days doing nothing but completing administrative tasks and resolving issues related to making this skill test happen. My colleague had dealt with the practical business of delivering the instrument training on most days, although I did a couple of days' instruction over the weekend. While they were in the simulator, I anxiously awaited the UPS van with the engine mount. At 15.30 it arrived. It emerged that UPS had driven their route in reverse order. The maintenance engineers agreed to work late and the aircraft emerged at 18.00 just in time to be refuelled, the exam call sign loaded in the transponder and general accumulated junk removed. The Cessna was parked in a test ready state. Roy, I and, of course, Martin were in the office early. One of us, at least, is always present on test days. We support the candidate and sit in on the post-test debrief with the examiner. Martin had spoken to the examiner at 07:30, the weather had been discussed and the test was on. Preparations were complete with all performance calculations, flight plan and most documents ready for inspection. When Martin went out to do the Check ‘A’ he discovered that the aircraft had cross fed during the night and lost fuel via the overflow. It was necessary to hurry to the pumps and add fuel. The release to service and related aircraft maintenance forms were naturally missing, since the work had been completed after normal closing time. I walked to the maintenance company’s offices and stood over them for half an hour to obtain the documents. Then I hurried back to our own office to find that the CAA examiner had arrived to commence his briefing. We had just about managed to have everything in place. The examiner, as we expected, was very professional and did everything possible to put the Martin at his ease. The aircraft departed on schedule for the test. To be honest Roy and I were nervous. We had, in fact, advised Martin that, given all the delays and hurdles, he was not as “test ready” as we had hoped and a pass was certainly not guaranteed. Fortunately he was the sort of candidate who ups his game when under pressure and he gained a full pass with only minor comments. The fat lady has sung and we end on a high note. For Martin that’s true to the extent that the weather was holding and he left almost at once to fly back to Denmark. Given the time pressure, I agreed to complete all his paperwork. Unusually for an ATO, we do the IR application for all candidates, as the forms are very complex and it is easy to make mistakes. We, after all, are the experts. However this time more work was involved. The examiner had kindly signed Martin off for his IMC renewal. He also needed his UK licence to be converted to an EASA licence. There were therefore three applications and two examiners test reports to submit. Additional material was needed, and I had to get this scanned and sent from Denmark. I assembled the bundle of forms plus his log book and, having copied everything for our own records, was ready to send them off. On reflection, I have been too kind in my descriptions of the log book. It looked as if it were the result of a drunken spider running through spilled ink. The use of columns was incorrect, pages had been used to scribble calculations and pages were not properly totalled. Along the way, I spent an extra hour or so with the log book and double checked the calculations. Martin had plenty of total time but his qualifying time was only slightly more than the minimum, so I made sure that the relevant hours were totalled correctly. Given that the application includes the precious log book I asked my wife take it to the post office for recorded delivery. I am somewhat paranoid about this since an earlier CAA application to a named recipient at the CAA was signed for at reception with an illegible scrawl and been irretrievably lost. The second point was that a form required for the IMCR issue was missing. You will recall that I had nothing to do with Martin’s IMCR. The Examiner had been helpful and used the skill test to fulfil two functions. In the past the examiner would have signed the page in the candidates licence and that would have been it. Now, as part of the process of adding the IMCR (now IR(R)) to an EASA licence, the CAA are required to complete a record. However, it appeared that they had no form for this, and so required the initial issue IMCR form to be completed. Almost no section of this form other than the name and personal details of the candidate appeared relevant. I filed in what I could, which mostly consisted of writing "not applicable" across the boxes. However there was a box for the name and number of the examiner. This appears on other forms and it is normal practice for us to complete this from our records. On this form however there was a block for the examiners signature. Without really thinking I signed by own name together with a large asterisk and annotated the form that I had emailed the examiner explaining what I had done. This email generated an explosive response from the examiner copied to several other people accusing me of malpractice and fraud, and failing to complete the candidate’s log book correctly by entering and signing for exercise numbers and being personally responsible for global warming. Ok, I am exaggerating about global warming, but the rest was both upsetting and puzzling. I had not been involved in the IMCR training, which had taken place many years before, had received no financial reward and had not conducted any test. I wrote a very bland reply suggesting there had been a misunderstanding. Perhaps he would look at the forms when they reached the CAA. A few days later, I got a terse email to the effect that he now agreed there had been a ‘misunderstanding’ and accepted I had done ‘the best I could in the circumstances’. I breathed a sigh of relief. This was the end of a sorry story. Some days later I received another email from Martin. He had called the CAA and discovered that nothing was happening because ‘the ATO had not provided the necessary documentation’. I had no idea what else was required. I contacted the CAA to enquire and discovered they now wanted copies of the whole training record. I copied the 20 pages of records and put them in the post first class. A couple of day later I received confirmation that the rating had been issued. This was test day plus 47. Martin called. It emerged that his SEP rating expired in a few weeks’ time. I had no idea why this had not been revalidated with the licence issue. Martin said that they had offered to do this if he sent his licence back together with the fee. Naturally, he was reluctant to give up his precious document. There is one CAA authorised examiner in Denmark so, given a hundred mile car journey, this could be resolved. Rate One Aviation employs no admin staff. There had been no time during the training for proper invoicing, we had just asked for an interim deposit. In fact, through no fault of his own, we were paying Martin to fly. His aircraft fuel and approach fees were being charged to our account in order to avoid wasted time and to allow him to benefit from the local training rate. In summary, about 15 person days were needed to deliver 32 hours of IR training and a test-ready aircraft. We have invoiced for 9 days training. No charge is made for unanticipated administration and, when instructing, my charges go to meeting the not inconsiderable Rate One Aviation overheads. Neither Roy nor I charge for the test day spent supporting the candidate. No charge was made for the unscheduled use of the simulator. There have been almost 100 emails exchanged. Forums and blogs splutter at the outrageous cost of getting an IR. An ATO approval is a licence to print money. In late March 2006, I was lucky enough to be part of a small group of aviators in three light aircraft whom Timothy Nathan persuaded to fly to Spitsbergen. At the time I was a PPL holder with about 100 hours; 50 spent on the regular Cessna training fleet, and the next 50 spent flying a taildragging, aerobatic Citabria around the UK. One of the activities that had been organised was a day out husky sledding and it was in this fantastic setting that Timothy and I discussed what I would do next with my flying. I mentioned that I'd been considering the IMC rating and Timothy asked if I'd considered the full instrument rating. In short I hadn't, thanks to the reputation of the overly complex groundschool and long flying course involved. As was correctly pointed out to me, I was in no hurry and doing this all for the fun of it. As readers will know, the IR also brings greater flexibility for European touring and, as that was something I aspired to, it seemed logical to go ahead. Decision taken. It was to be the full JAA IR. The first hurdle was groundschool. Seven exam passes are required for the IR. Sucker that I am, I ended up falling for an offer that was available at the time (Autumn 2006) to do the course for all fourteen ATPL exams for the same price as the seven IR exams. This was exclusive of CAA and exam fees, but did mean the exams could be taken at centres other than Gatwick. I don't regret this decision – the content matter was mostly interesting even if the 737's FMS isn't something I'm likely to encounter flying light singles! After looking through the short list of available schools I settled on CATS at Cranfield as the three module course they offered with a single week brushup for each module suited my requirements better than the two module, two week brushup courses on offer elsewhere. Money paid, I received my first set of course folders in September 2006 and was booked on a brushup course in December. I didn't actually spend very long reading the notes – certainly nothing like the three hours per day timetable that had been included in the study pack. This was partly down to being very busy, but also I found the material was sinking in without too much effort. Visiting CATS in December was excellent. The staff are very knowledgeable and capable of explaining things in about 20 different ways until one sinks in! It also confirmed that, personally, I didn't really need to spend three hours per day reading the material. I was due to take the first set of exams in January, but through work and, ahem, skiing holidays that didn't happen, I eventually took my first set of exams in Glasgow in September 2007, worried that it had been so long since the course at CATS that I would have forgotten most of the material. I needn't have been so concerned. The three days of exams were not a problem after cramming the night before in a cheap city hotel and the results a couple of weeks later confirmed passes all round. The Citabria is strictly a daytime VFR machine, so the hunt was on for something new. I had spent the last five years flying from Manchester Barton (which did have an NDB when I started...). There was a group flying a 1999 Cessna 182 from there with an arrangement to base at Liverpool during the winters when Barton can get a little boggy. I made contact and had a look around the aircraft while it was in bits in the maintenance hangar. At the time, the group was uncertain of the engine’s status under the Lycoming IO-540 crankshaft AD and to their credit didn't want me to join the group and in short order be faced with a large bill for a new one. As it happened, one of the members also had a share in a, just-refurbished inside and out, 1979 Rockwell Commander 114A which was permanently based at Liverpool and he was looking to sell. Talking to a few more experienced friends, I was assured that the HSI in the Commander's panel would make for easier IFR flight than the simpler DI in the C182. We went for a flight and I was hooked. Money changed hands and the keys arrived the next day in the post, along with a copy of the handbook and manuals for various other systems. This had all taken a few months, so it was now September 2008, two and a half years into the process! I also had to find someone to teach me how to fly without being able to see outside! The school where I did my PPL, LAC at Manchester Barton, were unable to help and so I contacted Ravenair at Liverpool. As I would be flying from there anyway, this seemed to make some sense. They had instructors but a particular one that came recommended had since moved on. In the end I went with JD Aviation, at the time based at Manchester but whose operations have now moved to Liverpool which is very convenient for me! Their CFI is one of our group's ‘friendly instructors’ who are used to do checkouts on the Commander, so I had already flown with him and knew what I was letting myself in for. After a few months of flying the Commander to become familiar with the aircraft's performance and handling characteristics, a luxury not available to those who undertake their flying in a school aircraft, a date was booked in January 2009 for the lessons to begin. This started out as any would expect, with an introduction to instrument flight using the full panel. Nothing more complicated than straight and level, climbing, descending and turns. We returned to Liverpool and flew a radar vectored ILS - it is a luxury having such aids at one's home base! - and ended the lesson with being told that if I could do all that then that's all there really was to it! The second lesson took what was to become a familiar format. We would meet at the airport in the morning, brief the flight, fly to somewhere for lunch, eat, de- and re-brief for the return, and then make our way back to Liverpool. All very civilised and exactly what I was looking for as a part time pilot doing this all for fun. I'm very lucky to be in a position where I can take extra time off work to allow for this particular variety of fun - taking specific days off rather that blocks of holiday suited my plans perfectly. I aimed for and booked a session per week, with full knowledge remembered from my PPL training years that plenty of sessions would be cancelled due to weather, aircraft tech, instructor/my own availability etc. This proved for me to be a good strategy. Early on we got into partial panel and unusual attitude recovery. Being used to unusual attitudes from casual aerobatics in the Citabria may have helped out here, but following the simple rules of power on/off as applicable to airspeed change, level the wings, attitude level seemed to do the trick each time. We progressed quickly to the part that I had expected to comprise most of the course - tracking radio aids. As readers will know, there's a lot more to this than the one hour of radio nav work in the PPL syllabus. After a few hours we came to the dreaded hold, and I quickly gained a reputation for being lucky with the wind. It always seemed to work out as almost directly along the hold! After giving me some trickier axes to hold along, and joins to make, I had to admit defeat with the realisation that the whole triple drift thing and joining procedures were not fully cemented in my head. We went over it in the classroom and I spent a few sessions sat in front of the simulator at home, complete with questions from my girlfriend about what on earth I was up to, sat in front of three dials on the screen and my kneeboard out! I've never been much of a simulator fan, but it definitely helped in this case. I also enlisted the help of the PPL/IR Europe forum to review my performance - and sparked another round of the age old debate about how important the hold is. As a student heading towards my initial IR test, my thought was that it had to be right, as it was simply another excuse for the examiner to fail me if it wasn't! As lessons went on, more and more was introduced. SIDs were being flown, instructor's tolerances were becoming tighter and my performance was getting better. This instrument flying lark must be sinking in after all. 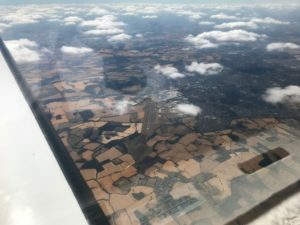 In mid-May, I undertook my first full IFR flight. The flight plan was filed, SID flown, arrival and approach flown at Shoreham all behind the screens and to minima. Alright I'd had my instructor along for the ride, but it was that same feeling of achievement I remembered from similar milestones like your first landaway. Fantastic! After a sandwich in the wonderful art deco terminal building, the return was flown along similar lines; I was doing this and was expected to plan the flight home and execute it from start to finish. Taxying in after a radar vectored ILS to Liverpool's runway 27 I had a moment to realise what I had done, and what I was doing this for. I couldn't wait! Just the small matter of another 30 or so hours to fly before I could even be entered for the test. The lessons and trips continued along similar lines for the next few months until the test was starting to loom large. After an October morning flight to Carlisle to fly around their hold until I got it right (we went round a good 5 or 6 times) and then execute the NDB aproach (once missed and once to land) to runway 25, the weather was just too glorious after lunch to sit behind the screens for the return flight, so we took a short break to fly down the valleys of the Lake District at low level. There are some flights that just can't be done on airways. On our arrival back at Liverpool we made arrangements to have the aircraft approved for taking the test. In order to use my own aircraft, we would need a set of screens to limit the view out from the left hand seat. I had asked around, but nobody seemed to have any templates for a Commander, so I would need to make my own and get them approved by the CAA. Leaning on the CFI at my school, we made a set of screens out of old cardboard boxes as templates. This was a very Blue Peter-esque effort, involving sitting in the aircraft for an hour or two and cutting pieces of old boxes to fit around the padded coaming and complex curves of the windows, instrument panel and interior finish. Once complete, these were used as templates to cut sections of foamboard, creating a much more resilient and presentable solution. As the screens are really only intended for the course and the test (though they are still in use now by several members of the group), the fixing to the aircraft didn’t need to be perfect. When in use, they are held in place with strategically placed Velcro and a couple of bulldog clips. It all sounds rather Heath Robinson, but in practice is quite simple and very effective. Having the full set of screens crafted, numbered and labelled with the aircraft registration and ‘top’ on each one, this apparently not being obvious from the orientation of the writing, we were ready to present the aircraft to the local CAA examiner for approval. As the nearest test centre is at Leeds Bradford Airport, we flew over there as part of a lesson and paid the princely sum of £172 for the examiner to sit in the aircraft for 20 minutes and check that he couldn’t see out. He also reviewed the aircraft’s paperwork, finding everything in order bar the insurance. There are specific words the CAA likes to see that stipulate the insurance cover is valid when an employee of the CAA is conducting a flight test. I didn’t have the appropriate paperwork with me on the day, but I’m obviously not the first person to make this mistake as there exists a very pragmatic solution. 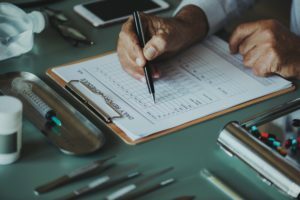 With everything else in order, the test approval is given and then immediately revoked with a note that the insurance documentation needs to be verified. This saves a further expensive appointment being needed to try again for test approval. On the day of the test, the documentation is checked and then the test approval form is annotated to say that the insurance is correct. The next time out, I was sent with a different instructor to check that I hadn’t been doing anything that my main instructor had overlooked, and after a 1¾ hour flight containing a SID, tracking, holds and a couple of approaches it was decided that I was ready to go for the test. Just the small matter of a 170A flight to confirm this, the longest flight of my training at 2 hours 40 minutes. Long as the flight was, the training thus far had prepared me well and there was nothing out of the ordinary. I could even remember partial panel timed turns. And so it was, with 50 hours and 5 minutes of the course completed, that the moment had arrived to take the dreaded IR skills test. With the £762 exam fee paid to the CAA, this was set to be easily the most expensive flight I’d ever taken. The date was set as 17th November 2009 and all the arrangements were put in place - the aircraft was booked, weight and balance was done, charts and plates were assembled and, on the day before, the weather was checked. With the Leeds TAF giving an expected 22015G25KT, and the F214 giving 40kt winds aloft I took the disappointing decision to cancel and reschedule the test. The weather remained grotty for a couple of weeks but everything came together on the 1st December. Once again I went through the preparations, with the fact that the aircraft’s annual was due in a fortnight nagging at the back of my mind. I flew for a couple of hours the preceding day with my instructor just to make sure I could remember how to do it all, and it was decided that I could. I’m not much of a morning person, so was very grateful that the test slot was in the afternoon. Rather than getting up several hours before I normally would, with the inevitable human factors effects, I could get up at a sensible time and be well rested before the big day. The school had chosen someone who had been through the whole thing not too long ago to fly over to Leeds with me. It would be VFR with me as P1 on the way flying as if it were IFR to get me into the right frame of mind. He would then kindly sit in the Multiflight lounge while I took the test and fly back with me, once again VFR, after the test was over. I’m not a nervous person, but was happy to have the company for the positioning flights. As soon as we arrived, the planning got under way. My route was to be a SID, then airways to Doncaster before going to the north for the general handling part of the flight and back to negotiate a rejoin with Leeds for an ILS to land. Satisfied with the plan, the weight and balance, the insurance and everything else, I left the comfort and friendly staff of the briefing facility for the aircraft. Familiar checks complete (this was the most I have ever flown in a year), it was time to call for start. We were IFR, after all. I had only flown on a call sign twice before, and both times continually fluffed the call, ‘Golf November.., correction, JD14A…’ so I was a little nervous about this seemingly innocuous aspect of the day! My concerns were immediately borne out with my first call, ‘Leeds Tower, Golf November.., correction, Exam 08 with information Romeo, QNH 1009, request start.’ Not the best start to the flight! With that out of my system, I didn’t make the same mistake again so perhaps it was better out than in. The departure from runway 32 had been rehearsed as it involves a relatively large amount of knob twiddling and there are a few gotchas which will give a test fail to the unsuspecting candidate. Fortunately on the day the wind dictated a POL1X runway 14 departure which is altogether easier, essentially being a right turn out on track to the Pole Hill VOR at 2 DME from I-LBF. The short airways route that followed was basically a left turn at POL to track south to DENBY, and then a left turn to follow L975 to UPTON before joining at Doncaster. On the leg from POL to DENBY, however, I managed to look at the wrong figure on my plog and convince myself that it was time to turn left. This didn’t feel right, but I did it anyway. It wasn’t long before I realised my mistake and turned right again to track towards DENBY, fortunately staying within the lateral limits of the airway the whole time. Once we were tracking back to DENBY the examiner asked what had happened, so I explained. 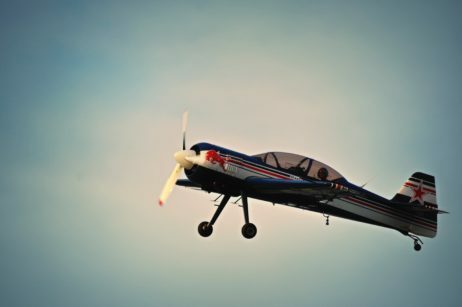 In my mind, I had just failed the easiest part of the test so I relaxed and got on with making the rest of the flight as good as possible in the belief that a partial pass would be better than a fail! At Doncaster the plan was to arrive at the FNY NDB to demonstrate that I could perform the required hold, then make an NDB/DME approach to runway 20. With the arrival from the northwest, I made a simple direct entry and, as soon as we’d completed half a racetrack and were tracking back towards FNY, I was told to request that we go outbound this time round. We hadn’t even completed the join, let alone a full hold. My mind said this was because I’d failed thanks to the earlier mistake and that we were simply going through the motions. Request made, we did indeed go outbound for the procedure, which is a straightforward example of this type of approach. Turning inbound at 10.6 DME and descending from 7.6 DME, everything was working out. We arrived at the minimum descent altitude and I added power to stay level until the missed approach point, over the FNY beacon. Climbing away from a non standard missed approach procedure, the examiner gave me directions to the north for the general handling part of the test. With the partial panel screens in place and the timed turns complete, we moved on to recovery from unusual attitudes. The attitudes were a lot more unusual than any I had encountered during training! Obviously I couldn’t see out, but I’m certain that all the elements were more exaggerated than I’d rehearsed - steeper climbs and descents, higher angles of bank etc. Still, my training did the trick and that part was over, partial panel screens down, and time to head back. Taking just a moment to reorient myself, we set course and I called Leeds to ask for joining instructions for an ILS to runway 14. We were given vectors to final and the ILS was a simple one. The screens were gradually taken down as we descended with the glide path until the only one that remained was directly in front of me. This was removed at DA, and the Commander’s trailing link undercarriage flattered the landing, which I’m sure would have been fine in any case! We taxied back to Multiflight and parked up where I was ready to be told that I’d managed to salvage a partial pass from the terrible beginning. After a short debrief along the lines of everything was very good bar the obvious error, he told me that I would be given a ‘pass with a telling off,’ and that he’d tell the school’s CFI what had happened. I knew this would lead to another ticking off when I got back to Liverpool and reported in. I couldn’t believe it - a pass after flying around for an hour thinking I’d failed! It was a wonderful feeling which still returns when I think of that day. It’s right up there with first solo, qualifying cross country and PPL skills test as another unforgettable flying moment. Now to go and use the rating. It was a cold, overcast morning. I stood staring upwards out of the window, desperately trying to find a peak of blue sky amidst the long dense greyness. All was in vain, as the scene merely confirmed what the METARs and TAFs were reporting. There would be no flying today. Like so many pilots, I turned to the next best option, to read about flying. 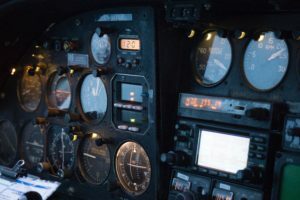 It was an article about the CAA’s new competency based instrument rating (CBIR) that caught my eye and the author sharing his experiences in Pilot magazine. Like so many private pilots, I was aware that the IR(R) rating, or IMC rating as it was then called, was a poor substitute to the full instrument rating (IR). Like so many others I had pondered the increased capabilities and extended privileges that an IR gave, but also like so many others I determined that this was probably a little too serious, and costly, for my tastes. But could this CBIR be the shortcut I was looking for? I have always been studious and so it was not the seven exams that deterred me, though I knew they would be a challenge, it was the fifty hours of flight training. That was longer than my original PPL training! In the end I decided against it and went on to read about travels across Africa. My mind however had other plans and I found myself doing more and more research. I knew I would not complete the training in the minimum ten hours, but I guessed fifteen, twenty at tops and I would be done. I contacted GTS Aviation, a lovely man called Roger Henshaw and that was it, I was on my way. I live in the Midlands and work in London and so a one hour train commute proved to be the perfect time to study. GTS organised the seven subjects into two modules, with an intense refresher session at the end of each study block. I chose to complete the first four exams together and then the final three together, two sittings in total at the CAA’s examination centre in Gatwick. It took a total of five months from start to finish, with an average of one hour of study per day. With the theory complete it was time to focus on the practical aspects. I had around 250 hours of flying and 56 by instruments, so I was feeling confident. The CBIR was starting to fall within my grasps and the excitement was building! Through Jerry’s patience and my perseverance we completed the minimum hours, but it was obvious to both of us that I was far from test ready. Sadly at the same time Command Pilot training had to close its school at Coventry airport. As I advanced in my training it became increasingly clear that I needed to obtain an aircraft capable of flying IFR - an aircraft that had suitable navigation aids and avionics but also the power to climb to airways in the requisite time (at least 500fpm). 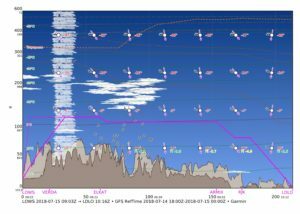 I had looked at lots of aircraft and I determined that I really wanted something that could fly into known ice conditions (FIKI) and had an autopilot to make single crew operations feel a little less intense. Takeflight Aviation at Wellesbourne were selling shares in a Piper PA46 Malibu Matrix, and all it took was to let the family take a seat in the soft leather seats in the back, and we were sold! In getting my PA46 class rating I was introduced to John Dale from JD Aviation Ltd and Oysterair. John, like Jerry, had the same high standards I aspired to achieve and so I asked if he would be happy to complete my IR training. He agreed, though possibly unaware of the challenge he had set himself. Jerry had ironed out a few of the kinks but I still resembled a shirt that had spent three weeks at the bottom of a wash basket. JD Aviation have a wonderful PA28-RT Arrow based at Hawarden Airport. It also was fully Precision Based Navigation (PBN) equipped and would give me that extra stamp required by 31 August 2018. My personal view is that IR training requires a good instructor, a good aircraft and a suitably equipped air traffic controlled airport. JD Aviation ticket all three boxes. I came to learn these things, probably quite obvious to many readers of PPLIR. Watch the attitude indicator and glance at everything else. Climbs, cruise, descents, flaps down, undercarriage down, rate one turns, no matter the situation learn to know where the AI bar should be for that aircraft and hold it there, using trim and not muscle power to keep it there. If the indicated airspeed is not right for the exercise (climb, cruise, descent) then it is probably because something else is wrong, e.g. too steep an attitude or an incorrect power setting. Don’t ignore it, do something about it. It is okay to tell ATC to standby. When you have a separate flight plan filed for the return flight and are turning to intercept an RNAV waypoint, and ATC want to give you your return clearance, it is okay to say standby. Aviate. Navigate. Communicate as they say. The practical side of CBIR training is no different from the full IR. It is also built upon the same level of professionalism that many pilots acquire obtaining their Commercial Pilot’s Licence (CPL). Positive, accurate radio calls, high quality taxying, adherence to checklists and always being a step ahead of the aircraft. Even though my lessons included DME arcs and NDB tracking, both the more challenging parts of IR training, it was the PBN I enjoyed most. Again this required theoretical training, which Oysterair provided at a very competitive rate, and practical training. PBN flying seems so much more intuitive. We used one of the very few RNAV equipped airports in the UK and I, like so many others, could be heard requesting a RNAV28 approach into Blackpool. As a child I remember Blackpool having a lovely beach, donkeys and kiss me quick hats, but now all I could see was a magenta line and waypoints like TOVEL and NH28I. I needed three RNAV approaches in my training record to be able to include this approach in my skills test. I must admit IR training is the one time in my life when I have experienced my brain turning to mush. It is intense and in the end I required 37 hours of training in aircraft and 16 hours in the simulator, so it did require 50 hours after all. However, this extra training not only made me safe to fly in Instrument Meteorological Conditions, but made me a better, and safer pilot all round. So the CAA’s pot was supplemented and the test booked. Peter Bradbury was going to be my IR examiner. The long checklist of test requirements were given one last run through with John and everything went really well. I felt confident and the night before the test I slept remarkably well. On the day of the test I awoke to a low cloud base, with EMBD CBs, mmm not good. Another student, Patrick, was looking to complete his test the next week and we all met at the airport. After the initial briefing and a chat we had one last look at the METARs and TAFs. Even though there was that feeling in my stomach of press-on-it-is, often raised at PPLIR meetings where we learn from others, wisdom prevailed and we rescheduled. I only had to wait a week for the next test slot but I decided to sneak in another practice lesson. Oh my days! My brain had gone! Taxiing – fail! Climbs – fail! Tracking – poor to middling. Limited panels – barely adequate. Steep turns – maybe. Approaches – it was now getting embarrassing. If there was a right way and a wrong way to fly, I found the wrong way! Where had all that training gone? What had happened to me? And then to add insult to injury, a tyre burst on landing! (Which thankfully turned out to be nothing to do with my landing.) I was mortified and I wanted to start the training all over again. John was much calmer and had obviously come across this situation before. That night was far less tranquil than previously and I watched as 9pm became 10pm, 11pm and then on to 3am when I felt myself drifting off to hear the alarm at 7am waking me. Patrick, also doing his test the same day, relayed that he too had a similar sleepless night. When I awoke I was asking myself why I was doing this. All this stress and anxiety; I am a grown man with nothing to prove, no glowing flying career ahead of me. I chose to torture myself like this! The test is tough, there is a lot to it, looking at the items to cover in the test can scare many away but, as Peter put it in an attempt to calm the nerves, it is just another short trip in an aircraft. Just like John had predicted everything on the test felt natural, climbing at 96kts with an eagle eye on the attitude indicator was ingrained, timely radio calls, thinking ahead to join the airway, beginning the descent, commencing the approach. I wasn’t perfect, I probably still have many hours ahead of me to continue to refine my skills, but I had passed the IR skills test. What an amazing feeling, only surpassed by gaining my private pilot’s licence and first solo. I now had a long list of evidence to prove I qualified for the IR: theoretical test results, ID, logbook, training with Command, training with JD Aviation, PBN theory certificate, limited panel stamp, and so on. The CAA had a ‘apply to add a rating’ section on their website, which seemed fresh, modern and simple and so I dutifully made my submission. Once again my naïve optimism had struck. Apparently somewhere in all the small print it clearly states that the online process does apply to the IR, but not to the CBIR, with no explanation why. Oh well time to start printing. I packaged up a ton of paperwork, which would have made an identity fraudster’s dreams come true and posted it to the CAA. Fortunately Peter had provided a temporary rating for a month, but even that ran out as it took six weeks from first application to receiving the paperwork back. Digitalisation, like a country full of RNAV approaches, is some way off for the UK CAA. Hopefully our European cousins find this step much easier. The rating could not have come at more opportune time as I had booked to fly the family to Salzburg and Croatia for our summer holiday. I chose Salzburg because I was awestruck after seeing the beautiful city in the PPLIR fly-out in September 2017. Julian Scarfe had been so kind to fly me in his wonderful Twin Comanche that time. The minute Julian and I arrived at Salzburg I set a goal to take my family there in 2018 and I highly recommend it to others. In just three weeks after my test we had planned to depart, so I just made it! We chose to fly out at FL100. As beautiful as the Matrix is, it is not pressurised and anything above FL100 would require oxygen, so we chose to stay a bit lower on the route out. The staff at Wellesbourne Tower had kindly obtained my clearance and after a short while I heard those magical words, “Golf Tango Foxtrot Alpha Mike you are cleared to enter controlled airspace…”. My family were all happily sat in the back watching a movie as we flew across the East Midlands, Belgium, Germany, and into Austria. Garmin Pilot on my iPad calculated the optimal route, including airport, NOTAM and weather briefings. It even included a GRAMET report and filed the flightplan with Eurocontrol. The Matrix also has a Garmin FlightStream 510 plugged into one of the Garmin GTN650’s SD card slot, so the entire flightplan could be uploaded to the aircraft with the tap of a button, with changes en route syncing across the iPad and avionics. After a few nights in Salzburg we once again boarded the Matrix and set off for Losinj in Croatia. The freedom to be able to hop around Europe felt unreal, those hours of study and flight training now being rewarded in full. I could not have imagined doing this flight VFR. Staying below Class A airspace in the UK, weaving below and around the controlled airspace in Europe, maintaining VMC. All of this compared to the stress-free changing to the new headings, altitudes or frequencies given by Air Traffic Control. The return flight was just over five hours, Losinj to Wellesbourne and there is no way I could have maintained the energy levels to complete that VFR. Obtaining my CBIR has certainly opened up Europe to me. Flying from Salzburg to Losinj is as simple as flying from Birmingham to Newcastle, in fact it is easier! Knowing that should poor weather close in, I have the option, at many airports, to descend where there is a cloud base of 200ft and runway visibility range of 800m, or as the approach plate details. Being confident talking to air traffic control, in joining airways, in the hold and on any approach, 2D or 3D, traditional or PBN, makes flying more pleasurable. This 200+ page illustrated book covers all the topics associated with training for and using a European Instrument Rating. It explains the variety of qualifications available, training methods, skills and airmanship required, what to expect in the practical skill test and includes considerations once you have passed. Written by Jim Thorpe, a GA pilot and IR examiner with many thousands of hours flown worldwide, it provides an excellent introduction into what is involved in getting the rating. The book is available for free download below. To obtain a hard copy, please contact us.